It’s been a tough day. Your boss snapped at you in front of others. Your significant other said something rude and insensitive. The bills are piling up. It could be all of these things or even just one, but they’re all valid reasons for why you’re feeling down. As a result of being upset, you turn to something that has always made you feel better: food. Emotional eating affects millions of people — if not the vast majority. This is because most of us don’t always eat out of hunger; we eat to feel better. Sadness, loneliness, or boredom are common motivators for why we turn to food, even when we’re not hungry. For some people who emotionally eat, it’s manageable enough and fairly rare in frequency to not have too negative of an impact. For many others, it becomes the number one way to cope when things get tough. Pierce Medical Clinic in Kansas City and Overland Park is going to talk about emotional eating in today’s blog. It’s one of the toughest habits to break, but it’s absolutely possible, and our medical weight loss clinic can help. You’re not alone in this struggle — Pierce Medical Clinic is a judgment-free place where you can get the help and weight loss tips you’re looking for. What does it mean to emotionally eat? When we’re hungry, we eat. We fill the void by filling our bodies with nutrition (or at least, that’s always the hope). When we’re sad, lonely, grieving, or upset, we feel a different kind of void. The void that we feel is emotional, and we hope that we can make that feeling go away in the same way that food does. 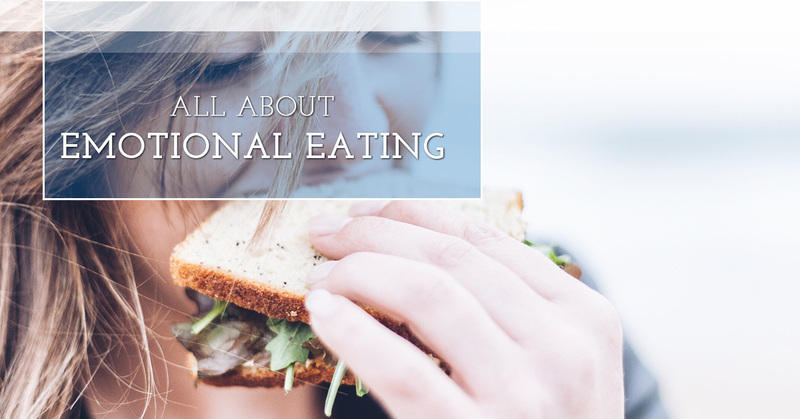 Emotional eating is described by Help Guide as “eating to satisfy emotional needs, rather than to satisfy physical hunger.” As our medical weight loss clinic has said, this is not abnormal. In fact, most people emotionally eat at some point or another. When it becomes a regular thing and/or a reaction to stress, that’s when emotional eating is problematic. What makes someone emotionally eat? There are any number of circumstances that contribute to this habit forming. Many people deal with the death of a parent or a loved one at a young age, and as they’re trying to navigate their grief, they turn to food. Physical trauma or abuse of any kind can lead to emotional eating as well. Moments that bring up past trauma can be triggering, and send someone spiraling down the emotional eating rabbit hole. The causing factors don’t always have to be negative, however. Some people get into the habit of emotionally eating because they use food as a reward. Getting a promotion, making a sale at work, getting a good grade on a test, these can all be reasons why someone begins associating food with feeling better as well. Is emotional eating the same as stress eating? The two terms are often used interchangeably, but again, emotional eating doesn’t only have to form as a reaction to stress. In other words, stress eating is a form of emotional eating, but not all emotional eating comes from a place of stress. How can I tell if I’m emotionally hungry or actually hungry? Pace: If you’re suddenly starving out of nowhere, it’s probably emotional hunger. Physical hunger is characterized by its gradual nature. Fullness: If you find yourself eating, even after you’re full, it probably has more to do with the emotion associated with food than the hunger itself. Regret: Emotional eating often results in feeling guilty, regretful, or ashamed. 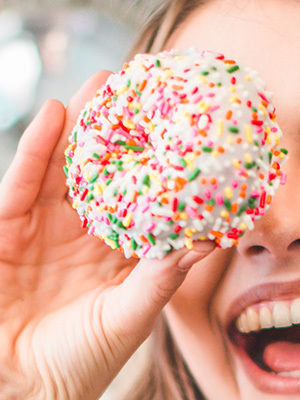 Is my emotional eating a problem? I’m an emotional eater, but I’m not overweight. Is it still bad? Yes, for two reasons. The first being that there are better and healthier ways to cope with negative emotions. When you work on positive coping strategies, your mental state will feel immensely better than if you were to try to eat your feelings away. Secondly, weight is not the only indicator of someone’s health. People can be skinny and still be malnourished — it’s far more common than you might think. Your emotional eating results in unhealthy foods being put into your body, which can negatively impact your organs (heart disease being one of the most common side effects of poor eating habits). In our next blog, we’ll talk about some strategies to combat emotional eating. One of the best ways you can do so is by scheduling a consultation with Pierce Medical Clinic. As a medical weight loss clinic with doctors to help guide you to healthier lifestyle choices, you could finally break the cycle of emotional eating. Call us today to start seeing the results you’ve longed for, and stay tuned for our next blog!